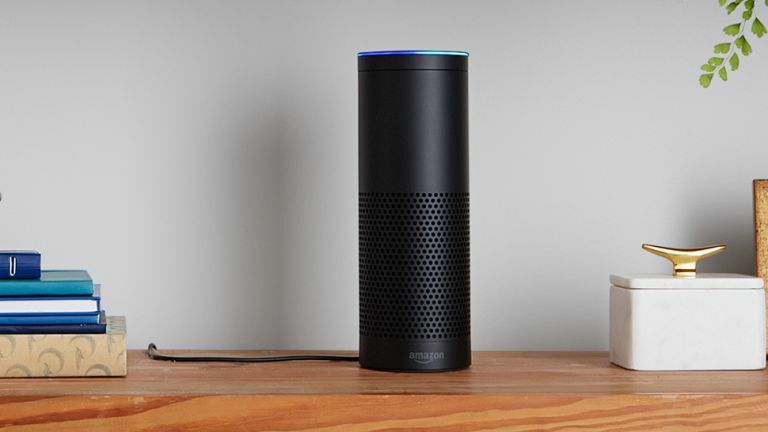 So you've got yourself a shiny, nicely curved, intelligent speaker - an Amazon Echo - staring at you from the corner of the living room: what exactly do you do with it? There are already thousands of 'Skills' available that work on the Echo, and the Echo Dot, and anywhere else where Amazon's smart Alexa assistant is available, but some of them are more useful than others. In fact that's putting it mildly; there's some right crap out there. Fear not: we'll be guiding you to ten of the very best here. Some of these are provided by Amazon and work right out of the box, others need to be added with a separate service but they're all great at showing you just what a fantastic helper Alexa can be. One of the most comprehensive travel search engines on the web, Skyscanner is also available as an Alexa skill, and the voice commands actually work pretty well as an alternative to using your web browser. It's rather like chatting with a robotic travel agent. Just say "Alexa, open Skyscanner" to get prompts about your travel, or jump right in and say "Alexa, ask Skyscanner to find me a flight to London tomorrow" or "where can I go this weekend?" for a broader search. It can get addictive, but you can't book through Alexa. Echo devices are perfect for audiobooks, as long as you've got an Audible account connected (newbies can get a free trial): voice commands like "resume my book" and "restart the chapter" are much easier and more intuitive than working an app. If you want to be more specific, you can say "Alexa, play [title] from Audible" or mention a specific chapter. We also like the sleep timer - "stop reading the book in 10 minutes", for example - which lets you drift off to sleep without worrying about turning your Echo off, or waking just as the ending is revealed, after you've dozed through 37 chapters of plot. Spotify is a good alternative to the obvious choice of music app, Amazon's own Prime Music or Music Unlimited services. As long as you've got a Spotify Premium account you can connect it through the Alexa app and use a host of commands to queue up your tunes by genre, album, artist, playlist and more. Try "Alexa, play Discover Weekly from Spotify" to hear your Spotify recommendations for the week, or "Alexa, play Future Islands on Spotify" to listen to the band Future Islands. As long as you specify Spotify in your voice command, and the integration is very slick. Alexa comes with some rather nifty sports features right out of the box, no extra skills needed, but you do need to specify your favourite teams under Sports Update in the Settings part of the Alexa app first. Then, shout out "Alexa, what's my sports update?" That gives you the latest scores and fixtures for your teams of choice. You can also try "what were yesterday's English Premier League scores?" or "what score was the Manchester United match?" and so on - you get the idea. It's simple but effective. If you've got a fitness tracker strapped to your wrist chances are it's a Fitbit, and the Fitbit skill from Alexa lets you call up your stats and scores from your Echo or another device, as long as you've added the Fitbit skill through Alexa first and connected your account. For example, "Alexa, ask Fitbit how I slept last night" brings up your sleeping stats, while "ask Fitbit how many steps I've taken" returns your steps count for the day. For a fuller rundown of how active or otherwise you've been, use, "Ask Fitbit how I'm doing today". Just Eat reckons 20,000+ restaurants are now on its books – look for the stickers in your area. For the ultimate in lazy food ordering, enable the Alexa skill on your Echo. You need to do most of the set up and configuring in the Just Eat app, but it doesn't take long. With your preferred dishes and restaurants set up, you can use "Alexa, ask Just Eat to reorder my last Chinese" for example. Say "ask Just Eat what can I reorder" to hear all of your options and "ask Just Eat where's my meal" if you think your takeaway's got lost. We've long extolled the virtues of Plex for creating your own personal Netflix, and now it's on Alexa too - add the skill in the app, and you can then call out "Alexa, ask Plex to play..." followed by something on your library. It will start on your last used playback device. If you're stuck for inspiration use "ask Plex what's on deck?" (which returns your recently played items) or "ask Plex to suggest something to watch" (which returns suggestions from all across your library). Just make sure your Plex app is one of the ones supported. Shouting instructions at a smart speaker works remarkably well for getting reminders about what you're supposed to be doing today, and Google Calendar is one of the skills you can add under Settings in the Alexa app (alongside Microsoft and Apple calendars). Commands like "Alexa, what am I doing today?" and "Alexa, when is my dentist appointment?" work as if by magic, and you can also have a go at adding new calendar events from Alexa, as long as you trust it to hear appointment times and titles correctly. For a truly futuristic experience, try getting Alexa to control your smart home - as well as Nest, Alexa works with kit from Samsung, Philips and others, so have a browse. However, for the time being you can only control the Nest thermostats through your Alexa device. As soon as you've got your accounts properly connected via the app, you can use voice commands like "Alexa, raise the kitchen by four degrees" or "Alexa, what's the temperature in the bedroom?" Your smart home does your bidding and talks back. Wikipedia is a treasure trove of information about people, places, events, movies, smartphones, companies, current affairs, and more much besides. If you say "Alexa, Wikipedia..." followed by a Wikipedia entry your Echo can recognise (like "Steven Spielberg" or "the Battle of Hastings"), you'll get the text read out to you. You get an introductory snippet read out to begin with, then you can say "Alexa, read more" to hear some more of the entry (though you usually won't get the whole text). It's just as easy to go down an educational rabbit hole with Wikipedia on your Echo as it is with Wikipedia on the web, only you're saving yourself a lot of clicking and scrolling around.